How much is Edwin Encarnación Worth? Edwin Encarnacion net worth: Edwin Encarnacion is a Dominican professional baseball player who has a net worth of $12 million. 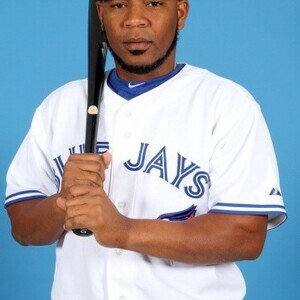 Edwin Encarnacion was born in La Romana, Dominican Republic in January 1983. He is a first baseman and designated hitter who bats and throws right handed. Encarnacion was drafted in the ninth round of the 2000 MLB draft by the Texas Rangers. He made his MLB debut for the Cincinnati Reds in 2005 and played there until 2009. Since 2009 he has played for the Toronto Blue Jays. Encarnacion is a two time MLB All-Star. He also represents the Dominican Republic in international competition and won a Gold Medal at the 2013 World Baseball Classic. Encarnacion signed a one year deal with Toronto for $2.5 million in 2010. In 2011 the club picked up a $3.5 million option for 2012. In 2012 he signed a three year deal worth $27 million.